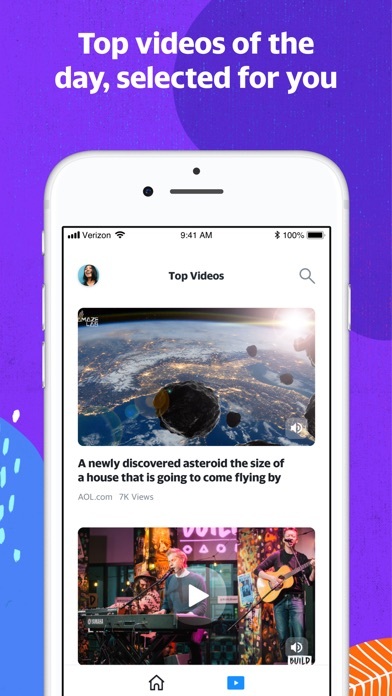 All your favorite Yahoo products, all in one place.. That’s what you’ll discover when you tap into the new Yahoo app. 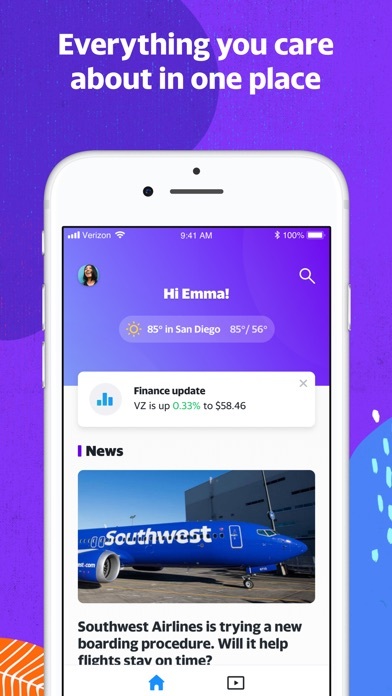 From local weather to sports scores and highlights, top news and entertainment stories & videos, stock quotes, coupons from you email and more, we’re delivering you a personalized experience like never before. 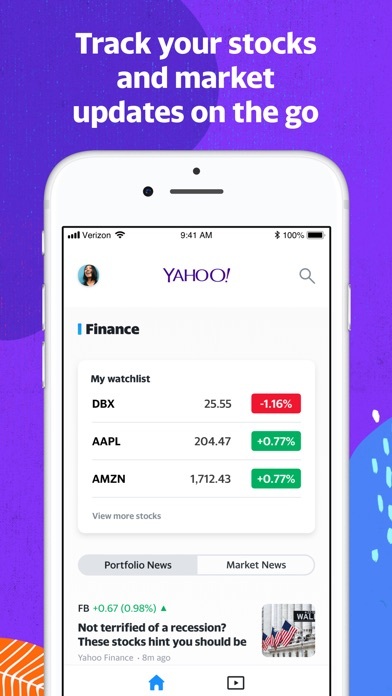 Think of it as your daily guide—one that rewards you for being part of the Yahoo family by giving you VIP access to our top brands, features, and partner deals. But it doesn’t end there. We’re always adding more rewards and services to the app because delighting you in a variety of ways is our number one priority; today, tomorrow and beyond. Plus you can change the order of all your content so that you can see what you’re most interested in as soon as you open the app. Favorite features: ● Top Stories: Stay informed with the top news and entertainment stories of the day. ● Video: Check out top videos from around the web and never miss a beat. ● Sports: Track live scores, schedules, and news from your favorite teams and players. ● Inbox coupons: Save money and time by never missing a coupon from your inbox. 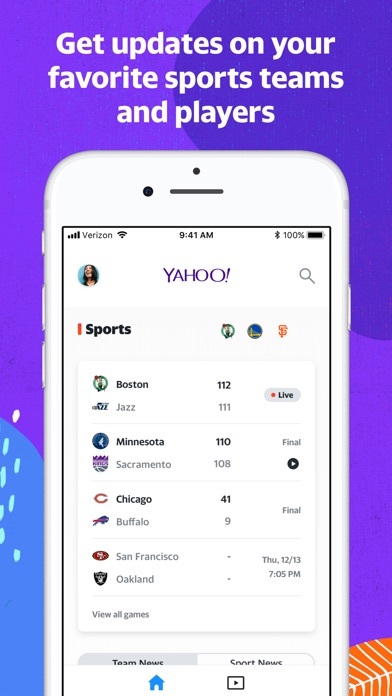 ● Local deals: Sign in using your Yahoo login from Yahoo Mail, Yahoo Sports, or Yahoo Finance. 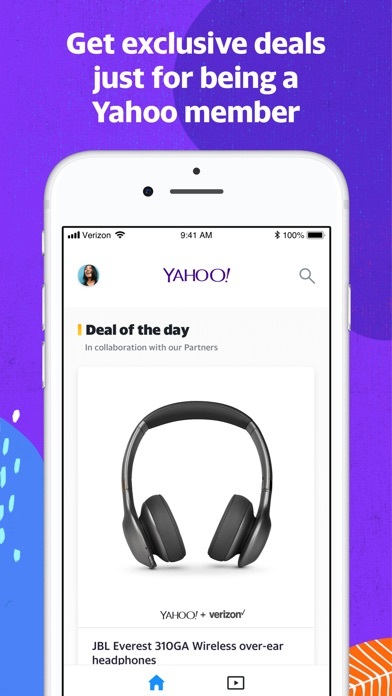 Or sign up to become part of the Yahoo family where you’ll get access to special offers and local deals! ● Finance: See latest market data, trending news, popular stocks and get updates on your personal portfolio. ● Weather: Plan your day with local weather. ● Horoscope: Choose your sign and see what the day has to offer. I have used Yahoo since 1999. The changes not only on the laptop are the worst excuse I have ever seen for an e-mail service. It wasn’t broken and literally they have taken the whole thing and broken everything. As far as the app goes, it’s even worse yet. You can’t even pull up your list of contacts to send emails too. Who does that? What idiot q a’d this app? I have provided a number of problem issues at their online forum site as have many others. They took my personal account I have had for 20 years and literally forced me to sign up for a business account. WTH? Unbelievable!!!! I downloaded this app in order to check mails along with news but I couldnt find any option to check the emails on this all in one app. Asks you for a code on safari every single time until you download their pointless app.